A stream of soft economic data from the US over the past weeks has been broadly supportive of cable. 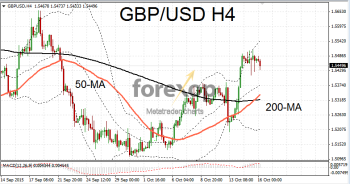 This change in fundamentals was enough to reverse the bearish trend which sent the pair down to 1.51 and take GBP/USD briefly back up over 1.55. Even so, all is not rosy with the British economy. We saw some surprisingly weak inflation figures earlier this week which gave rise to a brief though abrupt downwards correction in Sterling. Consumer inflation fell to minus 0.1 percent in September. Even stripping out food and energy, core prices were still weaker than expected. Employment conditions are also looking dimmer this month with average earnings falling and this is combined with higher than expected claims for unemployment. Meanwhile in the US yesterday’s consumer inflation figures were a touch better than forecasts with the headline CPI number coming in flat (verses a forecasted minus 0.1 percent). Last week’s jobless claims were surprisingly strong at just 255,000. Weak jobs creation remains the main worry and analysts and traders will be eying October’s nonfarm payrolls with special attention. This will be to try to figure if last month’s dip was an aberration or the beginning of a period of slack in the US labor market. At 1.5458 cable remains beneath the day’s pivot level and upward momentum in the current leg appears weak. Strong resistance lies around 1.5474 and then 1.5517. 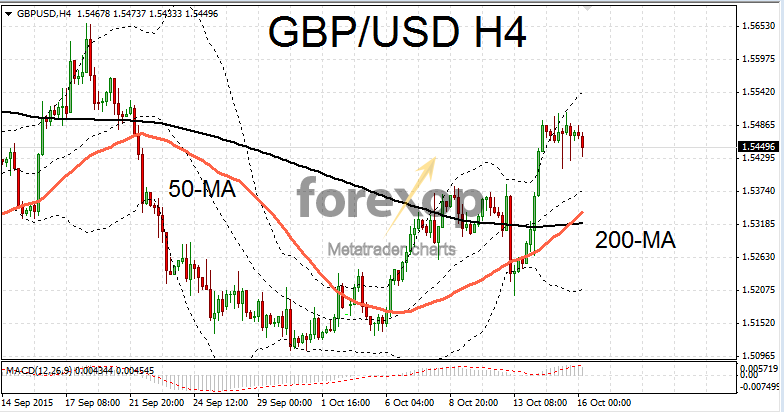 Beneath this support is expected at 1.5422 and then lower at 1.5372. In focus next week will be the meeting of the European Central Bank and the announcement of interest rate policy. Draghi’s speech last week was fairly downbeat and investors will be watching inflation conditions carefully and particularly the ECB’s outlook. EUR/USD pushed lower overnight as a modest rally ran out of steam. At 1.1350 EUR/USD has remained range bound for the past four months. With the dollar already richly valued we’ve seen a lack of drivers for a push in either direction. The Canadian dollar has been one of the better performers of late. A stronger Canadian buck has managed to push USD/CAD firmly back into the 1.28 range. The Canadian Central Bank (BOC) is scheduled to meet next week to set interest rates. Markets are expecting policy to be held down at 0.5 percent however the BOC has been known to throw in the odd surprise or two. The Bank’s policy statement will be essential reading for traders of the “loonie”.